One of the largest rural properties on earth is up for sale in South Australia for the first time in 60 years. The historic Clifton Hills Station in the far north-east corner of South Australia is being offered on a “walk-in-walk-out” basis, with infrastructure including a central homestead hub, multiple airstrips, formed roadways, 24 sets of steel trucking yards, and six flowing bores. Established in 1878, the 16,510 square kilometre property is the world’s second largest cattle station, and comes with an estimated 18,000 head of organic beef cattle. It follows the sale of the world’s largest station, South Australia’s Anna Creek Station, in 2016. Established in 1863, the sprawling 23,000 square kilometre Anna Creek was purchased by Williams Cattle Company for an undisclosed sum speculated to be around $16 million. Clifton Hills Station is currently owned by a four-person partnership, and has been put up for international tender closing August 2. 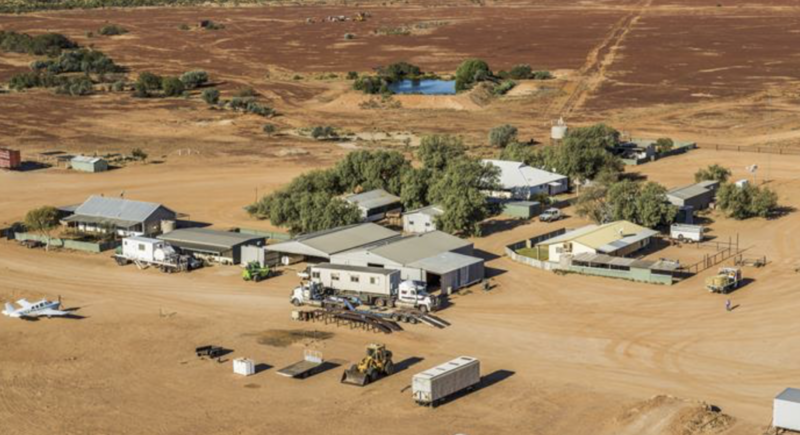 The station is traversed by iconic outback road the Birdsville Track, and has three main strengths that set it apart from other stations in Australia, Clifton Hills Pastoral Co. managing partner Dave Harvey said. “There are three distinct and equally balanced land types – Gibber plains with creeks, soft sand hill country, and inland river floodplains,” Harvey said. “The Diamantina River effectively terminates in a delta floodplain on Clifton Hills, giving a consistent 1,500 sq km of flood area per annum, and making it a very fertile area. Agents Colliers International and Rural Property and Livestock are reporting strong domestic interest in the iconic piece of land. According to Colliers International agent Ben Forrest, the beef industry icon sits in a market of its own and will attract a premium price. “Clifton Hills Station offers a very appealing opportunity for investors to acquire a substantial herd without the costs associated with freight, and the complexities involved in purchasing new stock,” Forrest said. The agents anticipate interest from $1550 per beast area, based on the present pastoral board maximum of 21,500 cattle, plus cattle.